Worried that Apple’s new iOS upgrade would bring new features but slow down your iPhone/iPad speed or performance? That’s not going to happen this time; this new software will immensely upgrade performance. Apple’s spokesperson Craig Federighi said “the development of iOS 12 will see it “double down on performance” to make the phones “faster and more responsive”. The new software will be available on every iPhone or iPad that can run iOS 11. So, your old iPhone 6 Plus will be able to launch 40% faster. We will be discussing some of the intriguing features of iOS 12, and other features you need to know. June 4 for iOS 12 developer beta (i.e. for paid Apple developers). June 26 for public beta 1. September for the final iOS 12 software release. It’s clear that there will be three release dates for iOS 12; the first is for paid developers, the second for beta testers, and the last for the public. You must be a registered Apple developer to access iOS 12-developer beta. Membership to Apple costs about $99 for an annual membership. iOS 12 VS iOS 11 shows that iOS 12 has a greater level of speed and performance over iOS 11. The result also shows that the performance and speed of iOS 12 will benefit users of new and older versions of iPhone/iPads. 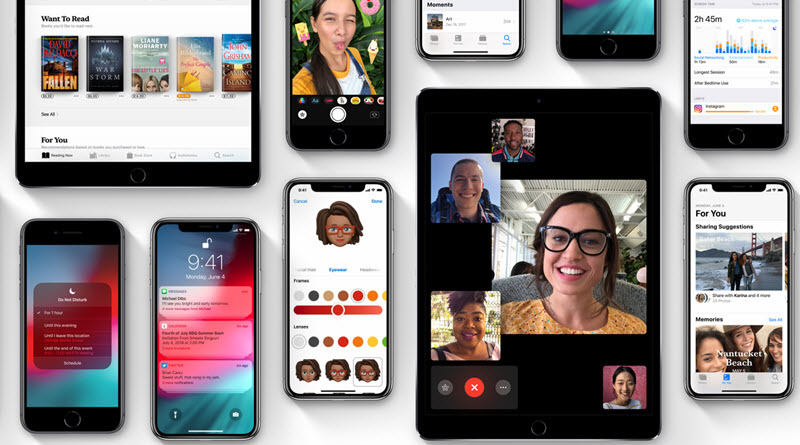 iOS 12 performance is the focus of Apple’s new iOS upgrade when you look at the fact that it supports all iOS devices that were capable of supporting iOS 11. Camera shifts up to 70% faster. Good News: The new iOS 12 will be compatible with iPhone 5S, iPad mini2, and iPad Air and newer. 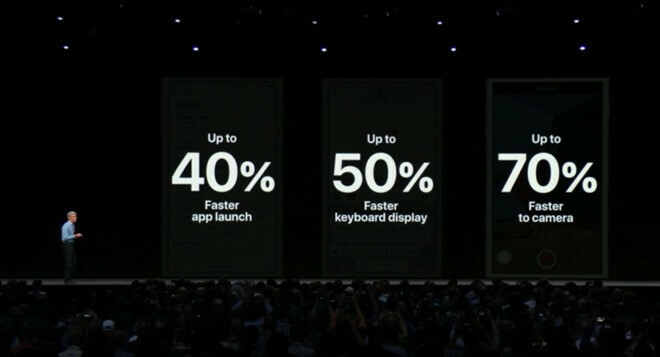 When software VP Craig Federighi announced on WWDC 2018 stage that “For iOS 12, we are doubling down on performance,” we became conscious to know how that would work out. We know you are also interested in getting a clue on how Apple will double down on performance. The following video clip will give you a better clue. Why wait until September before you increase the performance of your iPhone or iPad? It will pay you better to use an efficient iOS device support-tool to increase the performance of your iPhone by removing all junk and useless files within your iPhone. iMyFone Umate Pro is the tool that can aid you in speeding up your iOS 11 iPhone/iPad 75% faster. So, you don’t need to be looking forward to iOS 12 before you can start enjoying a better Apple software performance. 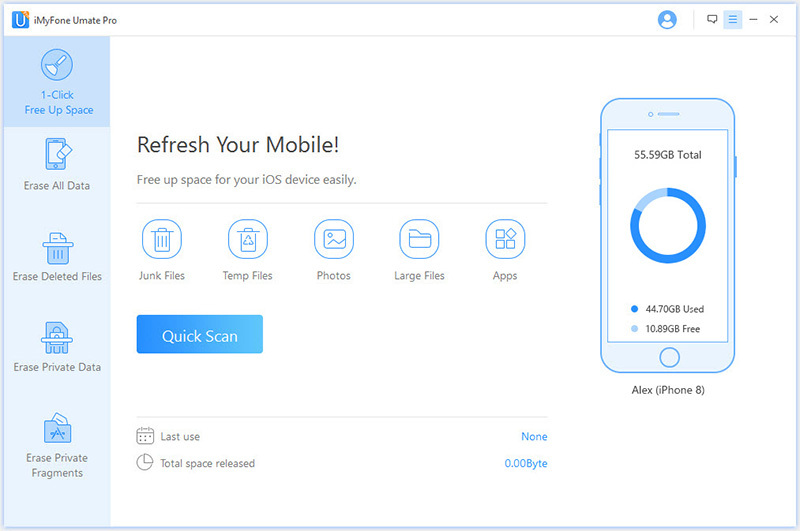 Offer iPhone/iPad cleaning features that that speed up your iPhone in one click. 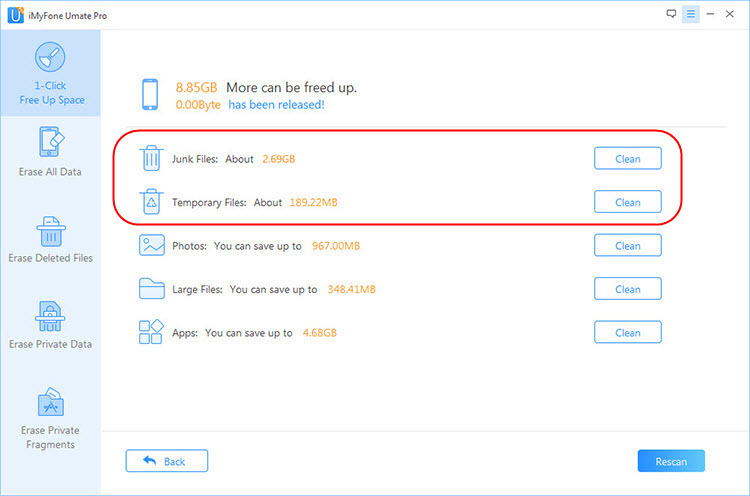 Assist you in erasing iPhone junk files, temporary files, browser cookies, app caches and other types of redundant files common seen on iPhone. Export iPhone photos for backup and losslessly compress photos? to release huge space for necessary running. iMyFone Umate Pro is also recommended by authoritative software review sites, like getintopc.com, MacWorld, APPKED, etc. Step 1: Download, install and run iMyFone Umate Pro on your PC while connecting your iPhone/iPad using a USB cable. Step 2: Click “Quick Scan” for Umate Pro to analyze your device and list out all the junk files on your iPhone. Step 3: Click the “Clean” button to recover your iPhone space and make your iPhone speed/performance better. It’s entirely true that Apple is working hard to make iOS run faster and better, but iOS 12 will come with some new features. Here are some of the features that will interest you. 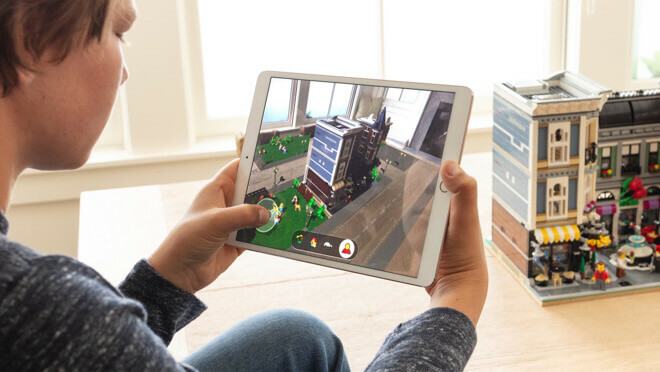 There have been various rumors that Apple in union with Pixar are working on a new file format that’s specifically designed for augmented reality application. Today, that’s no longer a rumor but a big fact. Apple’s software VP Craig Federighi called it “USDZ” and likened it to “something like AR Quick Look.” This new feature is expected to grace the new iOS 12 when beta 1 is released in June. Apple is concerned about how your iOS device affect you. Hence, screen time helps you to strike a better and healthier balance iOS devices and the life of the user. 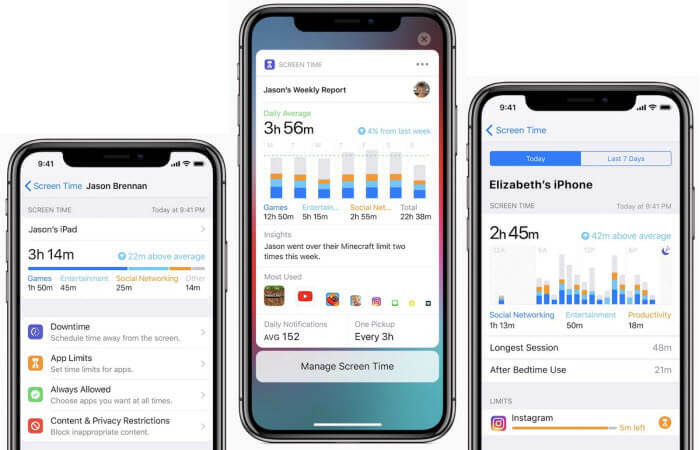 So, Screen Time will show you how much time you spend on your iPhone/iPad, time you spend on individual apps, track apps that are sending you the most notification, and group app usage by category. 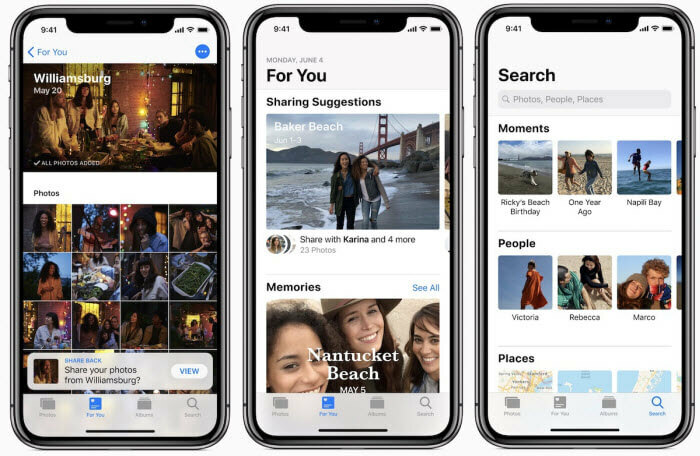 The upgraded photo app in iOS 12 will make sharing photos easier by making sharing suggestions. If you and your friends went to an event, friends who receive photos will be prompted to share their own photos and videos from the same event. This new feature seems to be an attempt to catch up to Google Photos. 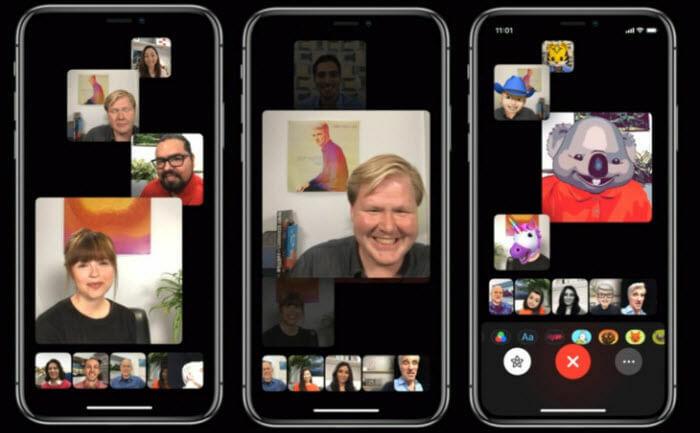 Apple’s video chat app will be capable of hosting more than one person in a video conversation when the iOS 12 beta 1 is released. The group face feature will be able to hold group video call sessions that will support 32 people. This feature will also be available to Mac users. When the individuals in the group chat are many, the video window concentrate on the person talking by enlarging his/her window, and shrinks when they’re not talking. You can also use an animoji or memoji to represent your face. With the claim that Siri is the most popular digital assistant in the world, Apple struggles to keep that lead by allowing developers more integration with iOS 12. 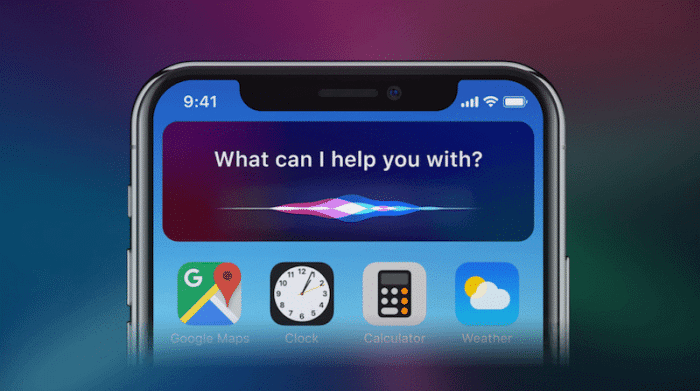 Now, third-party apps will be allowed to build shortcuts that would allow Siri carry our quick actions. Apple will be introducing custom emoji that looks like you. This is what Apple refers to as “Memoji”. 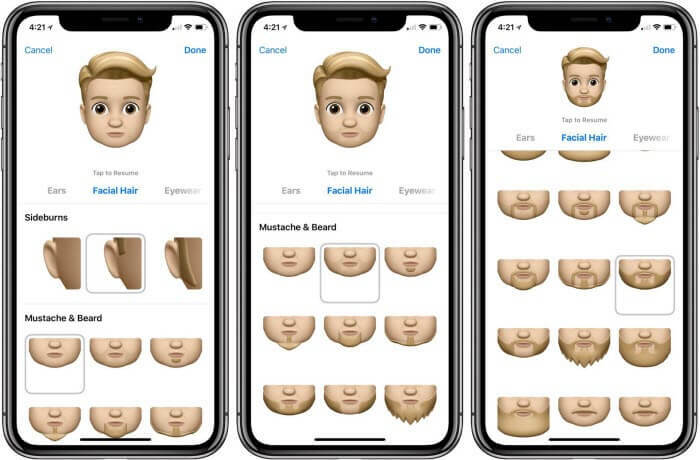 iOS 12 will allow you to create characters that look like yourself and choose skin colors, hairstyle, and outfits that you like. All these and many more are the features we hope to see when Apple releases iOS 12 beta on June 26. We hope you enjoy faster speed with iOS 12.